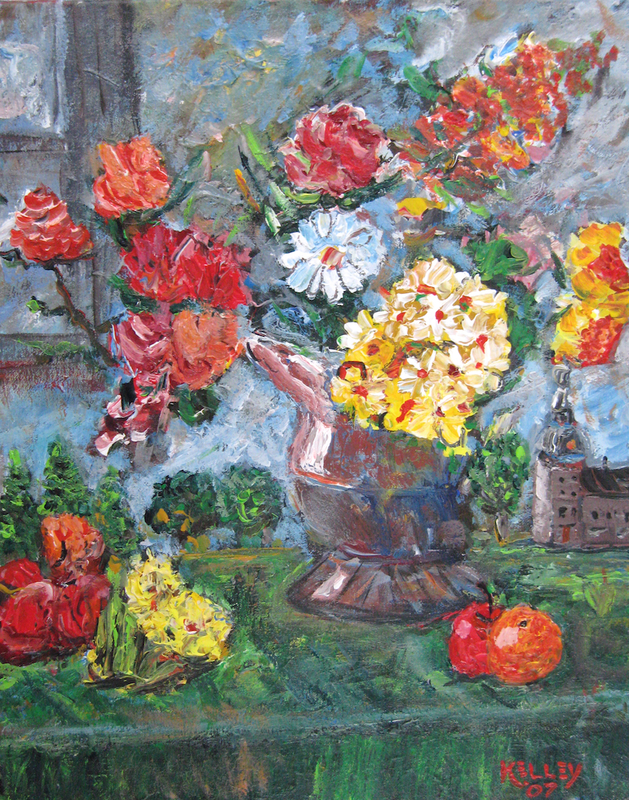 I had a crazy, but fun idea to add Riga landmarks into paintings of flowers. I did that with several paintings and the results have been interesting. This is “Flowers, Fruit and a Cathedral”. Firstly, I painted some flowers on a table against a blue background. Then I went a little crazy and turned the background into a sky; added a window; turned the table into a lawn…and then into a green waterfall. I added the Riga Dome and a few trees. I then topped it off with an orange and apple. I wish you could see the thickness of the paint, almost sculpted. This is called impasto.